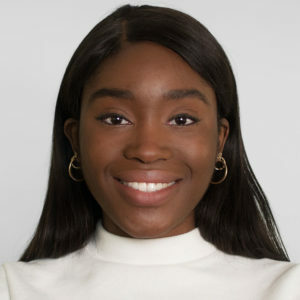 Tolashe Ebunlomo joined Vera in December 2017 as a research analyst for the Center for Immigration and Justice, where she works primarily on quantitative data collection for the SAFE Cities Network, among other responsibilities. Tolashe previously interned at NYU’s Program for Survivors of Torture at Bellevue Hospital. In her time there, the program’s research efforts concerned evaluating the experience of Central American asylum-seekers in US detention centers. She is a graduate of Princeton University’s Woodrow Wilson School of Public and International Affairs where her research elaborated the intersections of migration with healthcare, media coverage, and economics--paying special attention to their impact on African and Middle Eastern immigrants to the United States and Europe.